MLM Training on Three Way Calls. 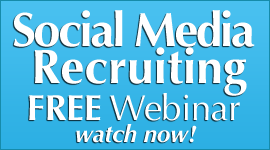 Are you using three ways in your home based business recruiting? Do you understand how to bring an mlm three way to a close in network marketing? Do you know what to do after that in mlm? Many do not and that is the reason for this post. I want you to GET how to end a three way and what to do after that. Three way calling is an art, and can be a lot of fun if done correctly. MARKETING. Let the event/conference call do the work for you! If you tell them too much, they’ll have no reason to come and find out more. “Lisa, how about if I pick you up at 6:00 PM? (Or call you at 7 pm?) Great. getting the kids in the tub; helping with homework; etc.) See you at six!” (Or whatever has been agreed to). Leave them curious and excited! Now… What happens if your sponsor is not available for three way calls and you find it has been 48 hours or longer since you gave them a CD or DVD, and it’s time to call them? DVD/ or join me on a brief call /webinar Monday (or whatever night) night that features some of the top people in our company talking about the business.) I can call you and simply let you listen. demonstrating to them the power of the three-way calling with the SHARE the business step. Additional follow up three way calls with the upline team may be necessary as well to continue moving them towards their Decision. Here is some homework: Practice the three way call with your sponsor or with someone that will help you. LEARN the steps and get comfortable with the process and the do one LIVE with your sponsor. This is the third part of how to do three way calls in your mlm network marketing home business. 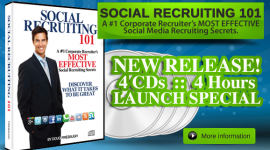 FREE mp3 audio download – “2013 Recruiting Secrets” – over 25 secrets! With Doug and Diane Hochman! MLM Training- 7 Ways YOU May be Working Yourself OUT of Network Marketing? 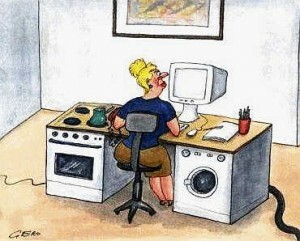 Are YOU working yourself out of your home business? Are YOU unknowingly getting ready to exit network marketing? 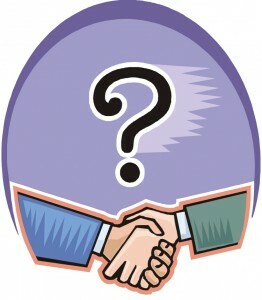 How will you know what you are doing with your mlm business? There are many distributors in our home business profession that actually are slowly working themselves OUT of network marketing and mlm- and they have NO clue they are doing it. We all have heard it. It echoes over and over and over. But yet, many network marketing work at home distributors work very hard and long hours and do not ever succeed and end up leaving this business. I know thousands of people that actually worked themselves OUT OF THIS BUSINESS! 1) These distributors were working very hard and very long hours and became totally exhausted with little results to show-so they left. 2) These distributors were trying to be in too many places doing too many things at the same time-and got burned out. 3) These distributors were talking to people who were not really interested –and led the distributor on- which started creating resentment for the industry from the distributor. 4) These distributors were trying to find people who would talk to them—not find prospects that were looking for them. 5) These distributors were trying to “keep the plates spinning” so none would fall and break. But they were not aware that they were spinning the wrong plates – the wrong way. 6) Theses distributors were being way too busy, spending way too many hours – “working this business, being BUSY”- but not BUILDING this business. 7) These distributors were listening to the WRONG PEOPLE in their upline – who were not willing to do what they were asking OF THEIR DOWNLINE. These distributors attempted many of the right things for success—but did them totally wrong, totally exhausted, or totally discouraged. They became frustrated, and many even became desperate. You move into “Net-BEG Marketing” slowly, and quietly. I have seen many people move into it their first couple of years, and someone had to steer them out of it-IF they could. You lose your power in this business and come across with a “NEEDY focus” — not a power focus. You end up NEEDING the prospect, not the prospect needing you. The prospect feels it and backs away. And it eventually gets to the point that many folks are mentally “on their knees” begging people for their time and money, and not even aware they are doing it. Have you ever during the Holidays tried to recruit someone for your home based business? Did you KNOW what to do or how to do it for your network marketing business? Would you like to know some secrets to Holiday Recruiting in mlm? By the way- if you are interested in Holiday Recruiting secrets, go to: Holiday Recruiting Secrets. 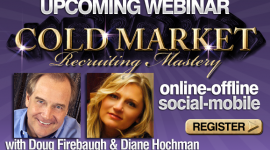 This has holiday tips from Myself, Diane Hochman, and over 30 super stars in our profession that have given some HOT holiday Recruiting tips. CHECK IT OUT as it has over 4 hours of tips! The holidays are a great time to network and recruit. I know. Some folks say the opposite. But I recruited for 4 years in a row someone – ON CHRISTMAS EVE! It is not hard to do. And these 10 Holiday Recruiting Tips I believe will help you in your holiday business building for your home business. Here are 10 “Holiday Recruiting Secrets” for the Holiday Season and beyond! 1. Always seek out the Host and thank them for putting this on. This is critical in ANY meeting or event during the holidays. ALWAYS make sure they know that you are there and hold a conversation with them as they may be an influencer and know the person you are looking for. And if you are the host, seek out the Influencers and spend some time with them. Get to know them. Ask them if you can take them to lunch after the holidays to chat. If you are on an online event, make sure you contact the host/ trainer of the event and thank them and get to know them. “Social Up” with them and connect with them to form a “Social Web” and eventually take it offline if possible. 2. Always be the first to break the ice. 3. Always use the “W5” Networking template in Holiday Live Networking environments that you do not know people. Who do you WORK for or With? Why do you work there? <Why did you start your company?>” if they own the company. Get their contact information. 4. Always ask for a “Contact Number” or a “Mobile Number” NEVER a telephone number. 5. Always set a Goal for Holiday Contact Acquisition. Contact Acquisition is THE ENGINE for your LIVE Networking Success. This alone will keep you FOCUSED on WHY you are there and not to spend all your time with one person. Set a goal for at least 3 contacts and hour. This will provide you ample time to hold a good conversation with folks and move on to the next one. If online, set a goal to connect with at least 5 new people every session. 6. Always “Boomerang Your Network” before you leave the Holiday Networking event. Find the people you connected with, and thank them again for their time. Make sure you do this, as it “reconnects” the conversation to the prospect. This is a boomerang for connections. You are truly a professional, you care about them and their success, and you look forward to connecting again after the first of the year. That sets you apart as well as 95% of people do NOT do this. 7. Always get their Social Media and Mobile info and connect with them the next day. You are starting to build a “Credibility Net” and you will be remembered for being so prompt in the social world. 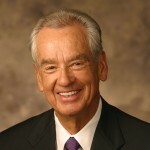 Thank them again for their time and send them a classic Success audio mp3- “The Strangest Secret” by Earl Nightingale. 8. Ask some “Drill Down Questions” during the Holiday Recruiting conversations. If online, same thing- keep it focused on THEM and what they are holding a conversation about. 9. Always Listen First when approaching an Influencer’s “circle” and then introduce yourself to them when and opening occurs. 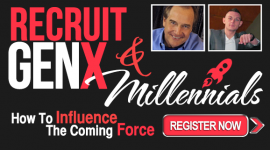 In the Holiday Recruiting LIVE Networking world, there are “Conversation Circles” that happen when an Influencer is speaking. FOCUS on who the Influencers are, and then become a “passionate listener.” Approve of their conversation by smiling, and nodding your head. Yes this is elementary, but you would be shocked at the number of folks that do NOT do that. And if you are on social media, let them know- “I agree!” ‘You are so right!” “Totally on target.” You get the drift. 10. Send them a text to their mobile 48 hours after the event saying you enjoyed the event, suggesting a lunch and you BUY. This will show them you are serious about your building a relationship, and will show you are a true professional as well in mlm network marketing home business. What exactly IS Home Business Training? How does Home Business Training work in network marketing? Do you teach home business training or your mlm business? Home business training is simply teaching the new direct seller or network marketing distributor or consultant how to work and market their business. This should include recruiting as well as team building and Leadership. A good home business training should teach all aspects of success and leadership when owning a home business. But HOW do you TRAIN when you want to multiply your home business? It starts with the 4 major parts to the home based business training. 1) The “WHAT” Home Business Training. to do. It trains you on the NAME of the training- but not the how. 2) The “HOW” Home Business Training. learning based. It lacks the actual action for example to the new distributor. 3)The “SHOW” Home Business Training. 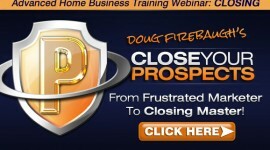 4) The “DO” Home Business Training. business with their actions in the field. is THE most effective and powerful impact home business training that exists. EXAMPLE — and SHOWING how it is done. This engages the new distributor immediately DOING the right actions –not just learning–that will start his/her business rolling with your knowledge and experience at the helm. This is EXPERIENCE based training. need to be trained. Yes, you need the webinars, and the live trainings, conference calls, and the training manuals. Absolutely. But this level does not stop there. This level introduces REAL EXPERIENCE into the mix of training. a) Take the new distributor on some appointments with you and let them listen to some home business presentations. b) Let them listen in on phone calls that you are making. Three way them on a conference line and let them hear you LIVE. c) SHOW them with an “over the shoulder look” at a recorded video of how you do this business with funnel marketing, landing pages, recording videos, webinars, and other online marketing strategies. These are the 4 HOME BUSINESS TRAINING modules, and can help you in your mlm network marketing home business training efforts. 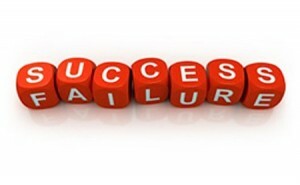 Are you struggling with the challenges of failure in your home business? Are you wishing you had never wished you had started your network marketing business? How do you FEEL about accepting sometime failure as part of Success? 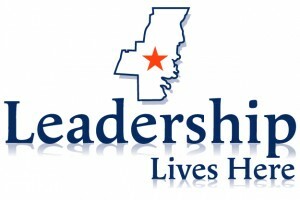 Here is a great article from SmartBrief leadership letter that really NAILS it! The Success Magnet: Faulure in MLM. In an acting class I am taking, we were given an exercise to ruin the scene we were assigned. The object was to get out of your head and to stop playing the character or the scene the way you think it goes, but to do something completely different—and wrong. I am a natural for this exercise, since I already possess the ability to ruin every scene due to my serious lack of acting skills (unless the scene calls for angry, and then I am, for some reason, gifted). This exercise reminds me of my aikido practice. Aikido is a difficult martial art, and there isn’t any way to learn it without feeling it. In aikido, I was taught to purposely do techniques wrong four times so I could feel what it felt like to fail. In both acting and aikido, the freedom to fail improves your skills and abilities. When you aren’t free to fail, you aren’t free to take the actions you might otherwise take. You stay in up in your head, and you are restrained in your actions. Are you giving yourself the freedom to fail and to learn from your failed attempts? You are going to fail from time to time. You are sometimes going to do your very best work, and your very best work isn’t going to be good enough. If the little judge inside of you decides that you are a failure for having failed, then you won’t have gained anything from the experience. Failure is merely an event. The most successful people you have seen have a huge wake of failure trailing off behind their successes. Instead of judging yourself for having failed, your job is to have learned something from that failure. It’s normal to make excuses when you fail. We don’t want to be responsible when something goes wrong or when we don’t get the outcome we really needed. But if you make excuses why the failure wasn’t your fault, you eliminate the possibility of learning from that mistake. Special Note to the Marketing Leader: If you punish failure, you will ensure that you get excuses instead of a sales organization that can learn from its mistakes. There’s no reason to try to fail; you’ll get that experience without trying. But being free to fail means being free to try. It means being free to stretch. And, it’s a necessary part of learning and gaining situational experience. How do you ensure you learn from your failures? What distinctions have you made from recent failures? If you lead a team, how do you embrace failure instead of punishing it? These are some secrets to massive success for your mlm network marketing business! MLM Training -Labor Day Savings – 50% Off All PassionFire Trainings! Are YOU looking for the answers to your network marketing home based business? 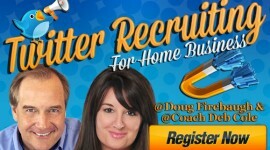 Are you searching for solutions and secrets to recruiting, prospecting, online marketing, leadership, and team building? And MORE? Are you wanting THE answers or just someone’s opinion? TODAY through Labor day, there will be 50% OFF ALL MLM training resources in the PassionFire Online store. 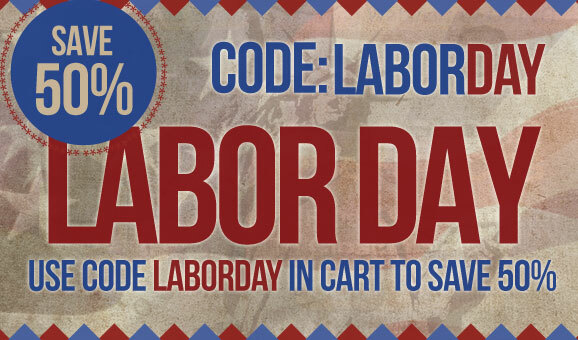 We are doing that in celebration of Labor day! 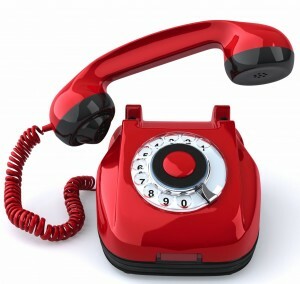 Do you use the telephone for your network marketing? How often do you use the phone for your mlm home business? 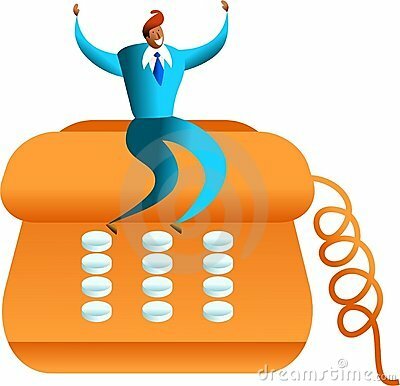 Would 5 powerful mlm telephone recruiting scripts help? There are what we call “Talking Points” in training. I personally think that totally scripted inflexible phone scripts can work more against you, then work for you. Many times, it seems that the distributor is READING it and sounds like it. I believe that maybe having some flexibility in what you say is a whole lot more professional and a whole lot more effective. I have taught “Phone Script Points” for years and have found that they are not only effective but also powerful. 1) I ran across a new idea that I want you to know about. 2) I want to ask you an off the wall question. 3.) Have you ever thought about owning your own business? “Nan, I have been thinking lately of the future and where my life is headed, and was wondering if you have ever thought about owning your own business like I have been. Tell me what you have been thinking. 5. Hey- do you have a second? These are 5 powerful phione recruiting scripts that will WORK for your network marketing home business. Do you have a question or phrase that you use in your home business? Are you asking the RIGHT questions in your network marketing business? Would you like to learn 7 powerful mlm telephone scripts? 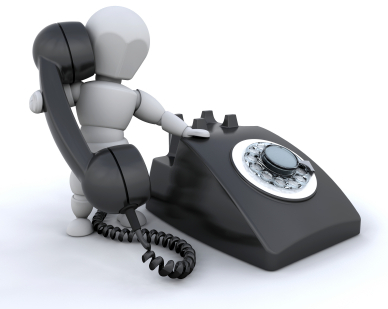 The single greatest tool you can still use today in your mlm prospecting and recruiting in your netwok marketing business is the TELEPHONE. 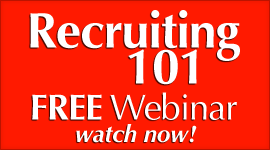 Yes, I am a huge fan of online recruiting, and teach it. But you STILL must use the telephone in your reaching out, training, and opening up the relationship to the next level. Even cold market calling on the telephone. I did that for years and used numerous talking point scripts that worked. I have done several posts on mlm telephone prospecting scripts as well as mlm recruiting scripts, but these 7 scripts ROCK and will help you in your mlm telephone prospecting. “By the way, let me ask you a question. You said last week that you needed more money. If the right thing came along and you knew it was right for you, and you could make great money without changing a thing you are doing-would you want to know about it? 7) From the Heart Approach. “Karen, I need your help on something. I have done something I have always wanted and dreamed of doing- I have started my own business. I wanted more control over my future and life. Now before you start rolling your eyes, I want you to know I am very aware of the risks, but it is also a risk if I never did it. 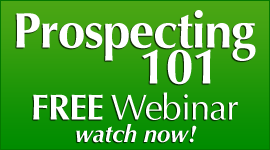 These are 7 mlm telephone prospecting scripts that will help enhance your mlm prospecting for your home based business.